It's the magical musical Super Pusheenicorn... as a backpack! Perfect for a day trip, as a purse, or for carrying your lunch! Bag measures approximately 9' x 4' x 10' and features a front zippered pocke and zippered interior pocket for storing all your stuff. 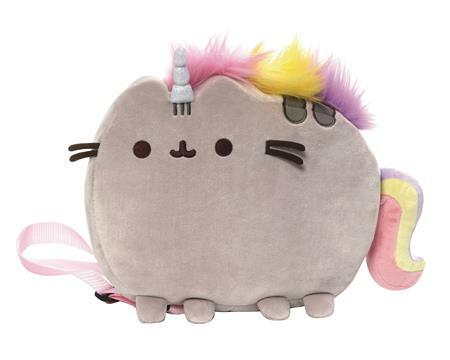 Pusheenicorn features a unicorn horn, furry rainbow mane and adjustable pink shoulder straps!